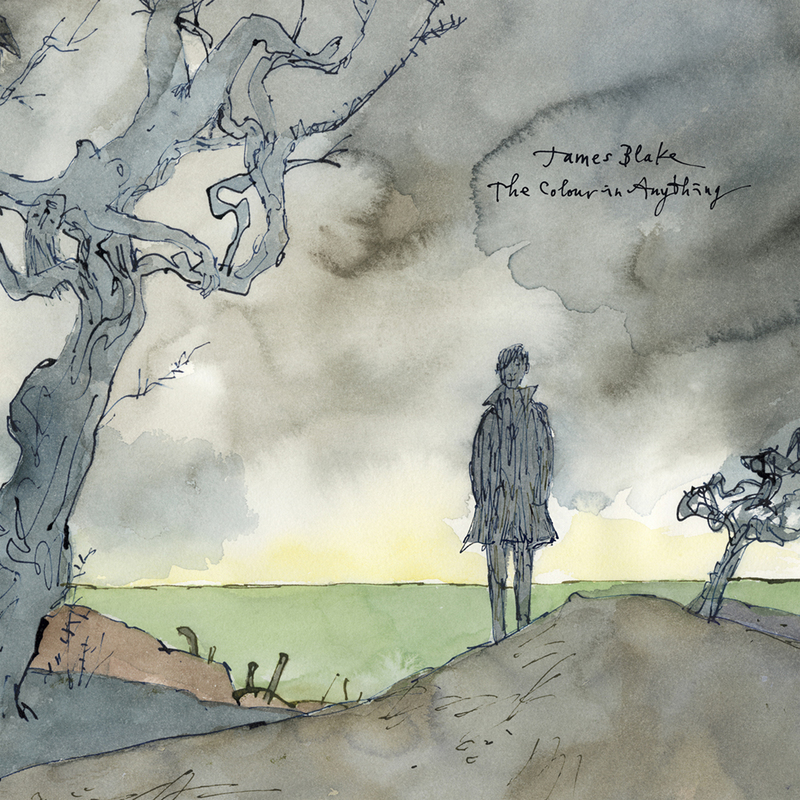 Album Review: James Blake, The Colour In Anything – music waffle. In musical terms we had a red letter week when both Radiohead and James Blake dropped surprise albums within days of each other. There is a similarity between the two in that they are works of depth and meaning in a shallow business. Both somehow use space to make noise. And both are pretty serious and melancholy. It’s understandable that with nine albums and a lot of collective life experience under the belt, Radiohead can make beautifully miserable music, but young James…where does it all come from? The Q uentin Blake illustrated album cover (look for the lady in the tree) puts me in mind of Michael Rosen’s Sad Book. The book is about the grief Michael suffered following the death of his son Eddie at the age of eighteen from meningitis. It’s a book that is almost impossible to read without being drawn to tears as you explore the depths of emotion. While James has not suffered a bereavement, he has a seemingly limitless ability to delve into difficult places within himself. I didn’t want to rush out this review, because at 75 minutes and 17 tracks long, it’s an epic, and with modern life struggling to spare anyone 75 minutes on the trot, it’s very hard to get a grip on the album in it’s entirety. Plus it’s quite insular in that it doesn’t really try to appeal in conventional terms. It’s a swirling mix of synth, piano, loops and stunning vocals, some with a natural sound, some with obvious effects, such as vocoder, melodyne and reverb . James shifts the vocals across the speaker range far more than many artists. Icy clear or thick with white noise, it’s an atmospheric and echoing listening experience. Points – the looped vocal “it’s sad that you’re no longer her,” is totally hypnotic. Love Me In Whatever Way – there’s a whipping synth swipe in the background replacing the snare drum, and at times you can hear every vocal vibration. My Willing Heart – starts with a female vocal in one style, then there’s a thump, a change of tone and that gorgeous voice over a classy piano and what sounds like an incredibly loose double bass. The guess here is that it’s actually a crafty combination of a synth bass and some sort of wooden-sounding kick drum. Choose Me – gospel voices introduce the song, but then it veers elsewhere. “You don’t hold me down like you think you do,” is a rather defiant lyric from a rejected lover, and there’s tweeting birds and severe knob twiddling on the “Ow” sound. I Need A Forest Fire – This track is one of the more uplifting on the album and is a story of the intertwined voices of James and Bon Iver’s Justin Vernon . The repeated sample lies underneath, reverb, delay and a subtle flanger effect on other vocal lines. It’s a real grower. Just like a fire. Funny that. James Blake may come across a self-indulgent choir boy chipped from ice, but there is a focused mastery in being able to come up with a piece of work like this. With his last album winning the Mercury Prize, the follow up could have been tricky. He could either put himself out of contention by offering something so long and complex that it wouldn’t be considered, or be right in it by producing something so brilliant, they couldn’t not give it to him. Time will tell how the judges view it. Many thanks to @the_MCDL for his input in writing this review.